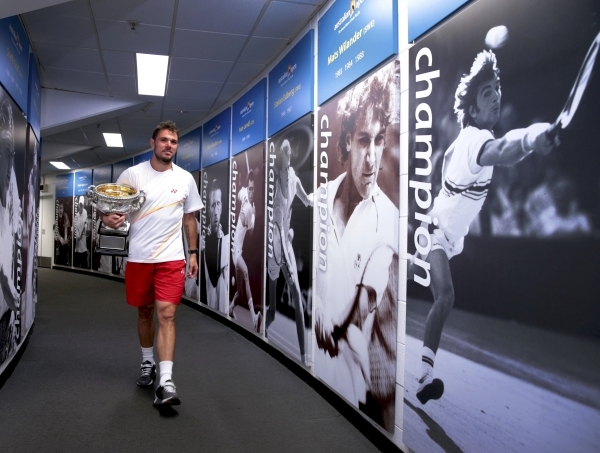 The tennis gods like to give aging superstars one last good-bye run. Jimmy Connors, Andre Agassi, Pete Sampras. It’s a graceful way out. And it’s something about luck mixed with wringing out the last drops of greatness mixed with making adjustments to account for what has been lost. Everything sort of comes together at the same time. And that brings me to Venus Williams, who is suddenly relevant again, reaching the quarterfinals of the Australian Open after beating sixth seed Agnieszka Radwanska Monday 6-3, 2-6, 6-1. Williams was excellent, awful, excellent. In that order. But here’s the thing: I’m not sure this is a one-last-run thing. Someone forgot to tell Venus this is her farewell tour. That’s what I was thinking it was. Now I’m thinking it’s her comeback tour. But know this: I could be way off. It’s too close to tell. 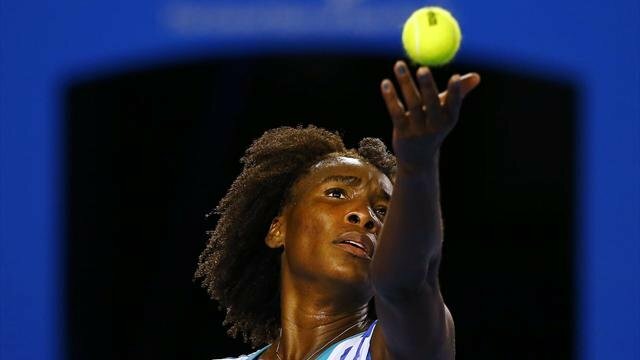 Venus, who hasn’t been this deep in a major since 2010, doesn’t understand the nostalgia. It’s just hard to know exactly what we’re seeing. It might be luck: The first top player she faced in Australia is Radwanska, one of the few high-ranked players Williams can overpower. And maybe her body is just in a good cycle now with her Sjogren’s syndrome, which steals her energy. Her fight against that is permanent. We got an inspirational new champion, a re-invented former champion, a few possible future champions and then, well, failure and theater of the absurd. Really, Australian Open officials? It’s OK to have players out there in 110 degree heat because people used to chase antelope in Africa? So here are the final grades for the Australian Open, of valedictorians, teacher’s pets, class clowns and everything in between. AGA RADWANSKA: She might have played the match of the tournament in beating Victoria Azarenka. She was everywhere on the court, with just enough power. Azarenka was flustered and confused. And the media hailed Radwanska as a genius for that match. But in her semifinal match against Dominika Cibulkova, Radwanska played as if she had had a lobotomy. I’m not even sure Radwanska tried. When things weren’t working, she kept doing them. There was no hint of strategy. This is the problem with the almost-greats. You see incredible things, and then you are reminded why they don’t reach the mountaintop (see Tomas Berdych). Same thing happened with Radwanska at Wimbledon. So what’s the grade? Well, I think she’s good enough to win a major, and marketable enough to be a star. And that semifinal match was so bad, I can barely remember the Azarenka match. Grade: F.
WIMBLEDON: Serena Williams Wins 5th Title. Great Comeback Story. Is She the Best Player Ever? REPORTING FROM WIMBLEDON, ENGLAND — This was not just more of the same for Serena Williams, another Wimbledon, another championship. No, what’s lost is that this was a great comeback story for her. 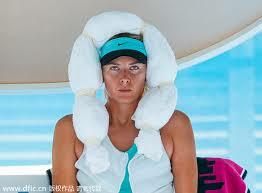 Two years ago, she won Wimbledon and seemed unbeatable. Since then, she had been beaten down. A foot injury followed by life-threatening blood clots in her lungs. Then, lost confidence followed by lost composure. Her match Saturday, like her life the past two years, was filled with crazy ups and downs. And how does her story end? 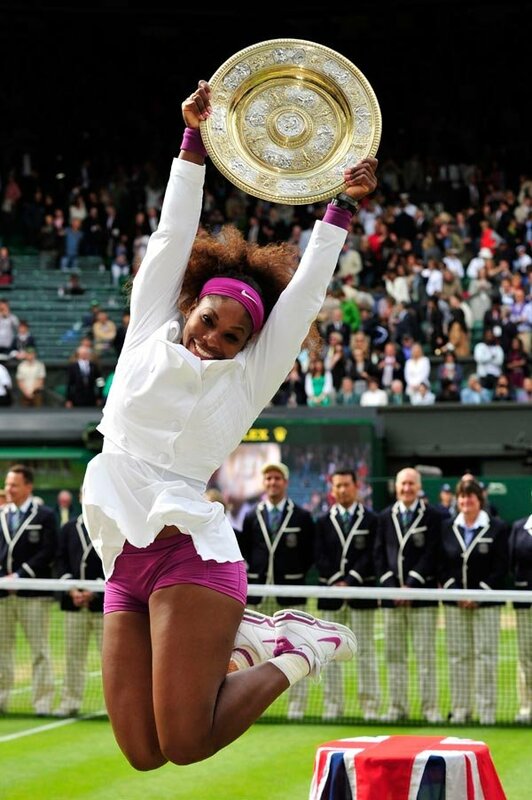 Williams beat Aga Radwanska 6-1, 5-7, 6-2 on Saturday to win her fifth Wimbledon title. She dropped to her back on the court in joy, then climbed into the stands and hugged her dad and her mom and sister Venus, as well as her other sisters. Then she broke into tears while publicly thanking friends and family who were with her in the hospital day after day. “There was a moment, I just remember, I was on the couch and I didn’t leave the whole day, for two days,’’ she said later. “I was praying, like `I can’t take any more. I’ve endured enough.’ Let me be able to get through this. I was just so tired at that point.